Just as it was in the time of the disciples, many people have opinions about Jesus. Some of those opinions have little basis in fact. Many of them are generally positive. But the key question is: who do you say Jesus is? If you don’t know enough to answer, this may be a good place to start. It is worth taking a long look at these eight verses, because there is so much packed into this one small passage. First, Jesus asks, “Who do people say the Son of Man is?” I hope you have noticed by now, that sometimes Jesus referred to himself as “the Son of Man.” We considered this briefly before, but I will add some information here. The prophet Ezekiel, when he records God speaking, says something like this: “He said to me, ‘Son of man, speak to the people of Israel and say…’” Ninety-three times Ezekiel records God calling him “son of man,” in this way. The significance of this is that in the case of Ezekiel God chose human flesh to speak his words. I think sometimes that Jesus called himself “son of man” to remind those around him (who would have been familiar with the prophecies of Ezekiel) that he was speaking God’s words to them. I also believe that at a certain level Jesus found it unique that he was not just “God-the-Son” as he was before he came into the world, but now he was also “son of man,” like Ezekiel, a human instrument of God speaking. You might say, humanity was a kind of new identity for Jesus, and so he often called himself by that name. So, by this phrase Jesus is reminding others that he is a messenger from God, embracing his human nature (new since his birth from Mary) and also embracing and reminding others of his identity as the Messiah. He asks the disciples what others say about him. The answers are interesting. Every one of them is someone who has already died. John the Baptist had already been beheaded at this point, and obviously, many people did not hear anything about Jesus until after John’s death. Hearing his preaching and seeing miracles, perhaps they supposed that John had somehow been resurrected. At the very least, they assumed that spirit of John was somehow manifesting in Jesus. Elijah, Jeremiah and the other prophets had all died centuries before. Again, the people are either believing that one of the prophets has come back to life, or that Jesus is somehow manifesting the spirit of such a person. All the answers share this in common: the people believed that Jesus was either the physical or spiritual embodiment of some great godly person from the past. What it amounts to is this: In the general opinion of the people, there was something special about Jesus. However, the answers reveal something else. Though they are willing to give Jesus special honor, they are not willing to grant him the status of being the Messiah, the Lord and savior. I think this is significant, because most of the world still views Jesus with a similar attitude. Like the people who were alive during his time on earth, many people throughout history and even today, agree that Jesus was something special. The prophet Mohammed attributed many miracles to Jesus, and even said that Jesus lived a sinless life. But Mohammed and Muslims will not grant Jesus the status of Messiah and Lord. They call him only a prophet, no more. Mormons and Jehovah’s witnesses have a special honor for Jesus also. Hindu religious leaders often praise Jesus for his teachings, as do many Buddhists, and even some atheists. Even Jews respect Jesus as an important Rabbi. But all of them stop short of Peter’s confession. Peter said: “You are the Christ, the Son of the living God.” What does this mean, exactly? “Christ” is simply the Greek word for the Hebrew “Messiah,” which literally means, “anointed one.” That may or may not be not be helpful. The basic meaning of “Messiah/Christ” is: God’s unique, Holy-Spirit-empowered servant by whom He will save His people and accomplish His purposes in the world. Though many people “foreshadowed” what the Messiah would be like (like David), the Old and New Testaments teach that there is only one true Messiah. In the beginning was the Word, and the Word was with God, and the Word was God. He was with God in the beginning. All things were created through Him, and apart from Him not one thing was created that has been created. Life was in Him, and that life was the light of men. That light shines in the darkness, yet the darkness did not overcome it. (John 1:1-4)…. Here John, teaches us that the “Son-ship” of Jesus means that he shares the same essence with God the Father. There is one God, not three, and yet he is revealed to us in three persons (not three gods): Father, Son and Holy Spirit. One human being = one person. But God is greater than human beings. For God (and God alone) one God = three persons. This is not something we can understand entirely. It is not the type of thing that human beings would ever make up. If you were creating a religion, or even just refining one, you would either go with polytheism (many separate Gods) or single monotheism (just one God, with one “person”), or monism (everything in the universe is just a part of one big whole). All of those are easy to understand and easy to explain. In a man-made religion, these types of verses I am sharing right now would end up in the trash can. On the other hand, if, as we claim, God is infinite and we are not, it stands to reason that we would not be able to fully understand His nature, which gives the Christian doctrine of the Trinity (that is what we are talking about here) a ring of truth that is missing from polytheism, single-monotheism and monism. To get back to the main point, we know that “Son of God” means that Jesus shared the same essence with God the Father, and directly manifested the glory and purpose of God in a specific time in the history of our planet. So “Messiah/Christ” and “Son of God,” go together. Jesus was fully God (one “person” of the One true, three-person God) before the creation of the world. Nothing was created apart from Him doing the creating. Yet he came to earth and took on human flesh, and became not only God the Son, but also “the son of man,” having human nature as we do. He did this because he was the Messiah, the one who ultimately defeated sin and evil through his death on the cross. Peter may not have understood every single nuance of this at the moment of his confession in Matthew 16:16, but this is what he was saying, this was his confession; this is what it means to say that Jesus is the Christ, the Son of the Living God. There are many opinions about Jesus. Our world today is no different in this respect than that of the first disciples. Only the very ignorant refuse to believe that he was a real historical person. Many people recognize the influence he has had on the world, and explain it by calling him a prophet, a great teacher, an angel or something else. I don’t want to be overdramatic, but this question is the key question in all of life. Who do you say Jesus is? It isn’t enough that our friends or relatives know who Jesus is. It isn’t enough to rely on the opinions of educated people about Jesus, or the opinions of religious people, or of wonderful people, or of someone you met at a party. 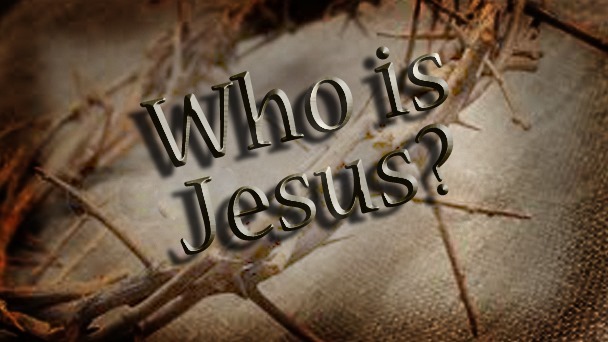 We are all confronted with the same question as the disciples: who do you say Jesus is? In the sermon on the Mount, Jesus claims greater authority than Moses. He claims to be the fulfillment of the Old Testament. He says that he is the narrow gate. He prophesies that people will call him “Lord,” and drive out demons in his name and do good works in his name. So far from Matthew we have seen Jesus heal lepers, and blind people, and lame people, and sick people, and a dead girl. He has healed by touching, and also by simply speaking a word. He has driven out demons. He has miraculously fed 18,000 people or more. We have seen him claim the authority to forgive sins, and then prove that claim by healing a paralyzed man. We have seen him calm a storm and walk on water. We have heard Jesus say that following him will bring persecution – but that we should follow him anyway. He claims that if we acknowledge him publicly, he will recognize us before the Father in Heaven – he seems to assume that his recognition in this way is all-important. Jesus has called himself the Lord of the Sabbath, and said that the Father in heaven has entrusted all things to him. We have heard him tell the followers of John the Baptist that he is fulfillment of Old Testament prophecies about the Messiah. He has claimed to have authority over all demonic powers because his power comes from Heaven. He promises to give us rest for our souls, and he did not stop people from worshiping him. We have spent fifty-two weeks getting to this point in Matthew; there are many more claims and miracles by Jesus than those I have referenced here, and we are only a little more than halfway through Matthew’s gospel. I think when you look at them all together like this, it makes an impact. Clearly, Jesus is not a great teacher, or a great man in any way, if all these claims are false. But if they are true…? I think sometimes in my own walk of faith, I get caught up in me. I think and pray about what I want God to do in my life. At other times, I am into intercessory prayer: I want God to do something in the lives of others, or the world at large. But today I want us to remember: it is all about Jesus. Jesus is who he is, whether we believe it or not, whether we even think about it or not. And the foundation of our faith should be recognizing Jesus for who is, and worshipping him. This confession of Peter is the great foundational truth of all people who call themselves Christians. It is worth contemplating. So, I ask you today: who do you say Jesus is?